Comments : Comments Off on IT’S MAGIC! OPEN AND HONEST: Anni-Frid Lyngstad talks about the tough times with presenter Fredrik Skavlan. STOCKHOLM (AP) Anni-Frid Lyngstad lost her only daughter and her husband of eighteen years. At age 68, she has become accustomed to solitude. Although a member of ABBA she is one of the world’s most successful stars. But she has also had her share of tragedy. In January 1998, died daughter Ann Lise-Lotte in a car accident, only 30 years old. In October 1999, her husband died, the Swiss Prince Ruzzo Reuss of lymphoma. He was 49. – What I experienced might make that experience a great loneliness which gradually become natural to me, says the usually media-shy Anni-Frid in an interview broadcast on NRK program “Skavlan» Friday. Her mother was Norwegian, German father. Her mother died only 21 years old, and Anni-Frid was strongly attached to her grandmother Arntine growing up just outside Narvik. – Sometimes I think that is similar to my grandmother, who I grew up with, says Anni-Frid, who applied for Swedish citizenship when she was 16. – I’ve been in situations where I’ve been in trouble, but where I’ve thought that when there is so much forgiveness in the world, I have to do it too. Anni-Frid Reuss, as she is called today, is a billionaire and considerably richer than their higher-profile colleague Agnetha Fältskog. She lives in a Swiss mountain village and, according to Swedish Expressen a fortune of 1.8 billion Swedish crowns. More than 30 years after ABBA split up Anni-Frid. Totally lazy – she is not. In good time she comes now with a clothing line aimed at ski folk. – I thought a few years ago that I have to do something creative, and found that ski clothing is “Tråk matters.” So I contacted ima ski manufacturing company and in December, the first collection. So still in the queue! There is only one overall in the first place, then, she says to Skavlan. The journalist responds by praising her business acumen. – My relationship with money is that I am as careful as children. It’s about being scared of losing what I’ve got. As a child I collected on the dime. Today I live a simple but comfortable life. Metal band “In Flames” are also guests at Skavlan, and admit that they have stolen from Abba. – Did you, did you ask for permission, then? Hehe. My grandson has started with heavy metal, says Anni-Frid. Grandson Jonathan (24), who now lives in the United States, is the son of Ann Lise-Lotte, and was just a little boy when his mother suddenly passed away. Some new time Anni-Frid can also expect to get ahead of ABBA; they release the double live album “Live At Wembley Arena,” with recordings from 1979, this coming Monday. She has previously stated that it is unacceptable to resume his solo career. – But one should never say never. I like to sing, she says now, and reveals that she actually gives out a song in December – a tribute to the Matterhorn, in connection with that it is almost 150 years since it was climbed for the first time. The title is “1865”. In Switzerland, she is on the list of the 300 wealthiest residents, who each year are published in the journal Bilanz. She is in good company on the list; celebrities such as Tina Turner, Phil Collins, Michael Schumacher and IKEA Ingvar Kamprad-billionaire has been on the same list. In Zermatt, where she has lived since her spouse died, you can often find her shopping in the local grocery store. In addition to the residence in Switzerland, she houses in Sweden and Mallorca. Anni-Frid live today with the British nobleman Henry Smith (58) who is the heir to the British store chain WH Smith. They met in 2008 and made the relationship public during the premiere of “Mamma Mia” in London. ABBA’s Spanish adventure began in 1979, when it was suggested that the group should record a Spanish-language version of their latest hit single, ‘Chiquitita’. This was in order to facilitate a breakthrough in Latin America, where ABBA hadn’t yet achieved success on the level of the Abbamania that gripped the rest of the world. The results of this single release were astounding: ‘Chiquitita’ rushed to the top of the charts all over Latin America, and became the biggest hit in 25 years in this part of the world. In 1980, an entire album of Spanish-language ABBA songs was recorded. Appropriately entitled Gracias por la música (“Thank You For The Music”), this also became a huge hit – even entering the charts in the not-very-Spanish-speaking Japan! Since then, ABBA have been consistently popular in Latin America. The first disc in the 2-disc Deluxe Edition of Gracias por la música is a CD, which features the original album plus five bonus tracks. 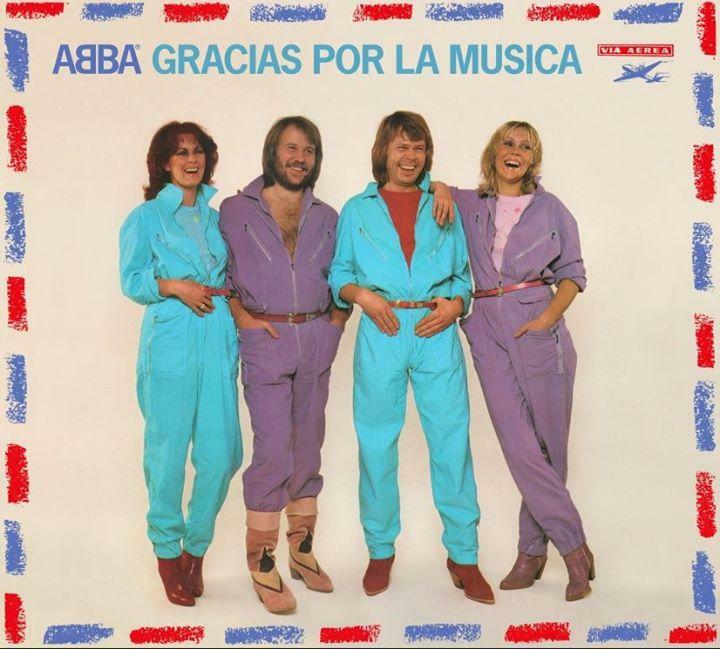 The bonus selections are the remaining Spanish tracks recorded by ABBA, four of which were originally included on the albums Super Trouper and The Visitors in Spanish-language territories. The DVD features the five official promo clips ABBA did for ‘Estoy soñando’ (“I Have A Dream”), ‘Conociéndome, conociéndote’ (“Knowing Me, Knowing You”), ‘Gracias por la música’ (“Thank You For The Music”), ‘Felicidad’ (“Happy New Year”) and ‘No hay a quien culpar’ (“When All Is Said And Done”). Additionally, there are three previously unreleased TV items: two performances of ‘Chiquitita’ from 1979, plus a 1980 interview with the group made for Spanish TV, which also features a unique – in every sense of the word – performance of ‘¡Dame! ¡Dame! ¡Dame!’ (“Gimme! Gimme! Gimme! [A Man After Midnight]”). The package also includes a 20-page illustrated booklet featuring a personal greeting from Frida, as well as an essay on the making of the album. The essay includes brand new insights from Buddy & Mary McCluskey, who instigated the Spanish-language recordings and wrote the Spanish lyrics for ABBA, and Ana Martinez del Valle, who coached Agnetha and Frida in the studio. In the booklet, Frida’s greeting and the essay are featured in both Spanish and English. Don’t miss out on this unique celebration of an often overlooked part of ABBA’s glorious career! 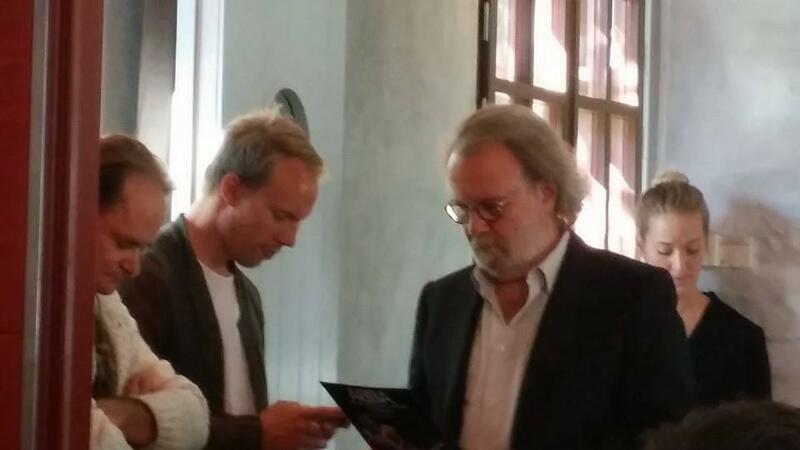 BT is the only Danish media greeted legend Benny Andersson in Stockholm. It’s Saturday night November 10th 1979 The four Abba’er, Agnetha, Anni-Frid, Björn and Benny are on top of their career. Fantastic Four have just completed their first – and only – American tour, performing to full houses in Europe, including five consecutive nights at a sold out Wembley Arena in London. On the sixth and last night at the British National Arena culminate the four Swedes who this evening deliver one of their best concerts ever. A concert there in a few weeks for the first time released a live album with a mix, but otherwise unedited and impressive sound. – The music appears exactly as it sounded that night in 1979, and I’m actually surprised how dynamic it sounds. It was me who was counting into each track, and I had so much adrenaline in the body, the pace is a little fast in some of the songs. But overall, we were not quite as bad, says Benny Andersson with a wry smile. It’s Benny Andersson’s son Ludvig Andersson, who listened to hours of tape from ‘The Tour’ and after careful consideration chose that it was just that night, 10 November, to be released. – I chose the evening, because it sounded like they had the most fun there. So yes, there are a few minor errors here and there, but it’s just part of life experience, says Ludvig Andersson, while Dad (Benny) added that the other three members have approved the release. Anni-Frid Lyngstad and Agnetha Fältskog were even in the studio at Skeppsholmen in Stockholm to listen through it. – Frida was a little worried because she had a sore throat and was on medication throughout the week in London, but she ended up accepting what he says. – Maybe we should take on a new tour to play all the songs this time? No, I’m just joking. We should definitely not go on tour together. But I understand that Kate Bush has started to tour again. She could just call if she needs a pianist, he laughs. 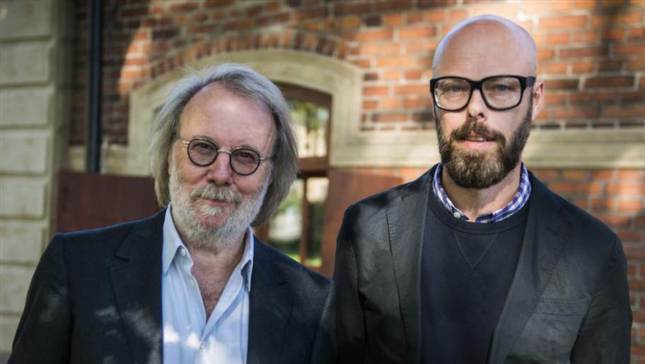 The 67-year-old hit maker is still an active songwriter and musician and can be seen all around Sweden with his Benny Andersson Orchestra, and he and his son Ludvig is in the process of composing music for an upcoming Swedish fantasy film. Though the many Abba songs will always be closest to his heart. – The songs mean a lot to me. We are all proud of what we achieved with Abba. And I would like to think that the songs still hold, because they have a certain quality. 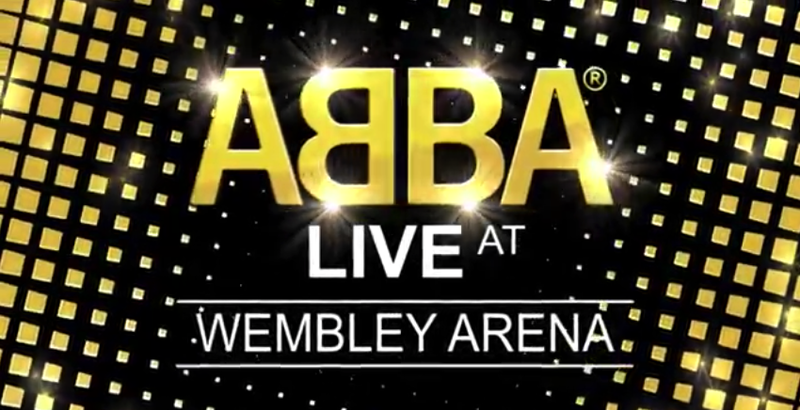 ‘Abba Live at Wembley Arena’ will be released on 29 September. Check out the new statues at the Times Square museum. Click here for tickets to see Mamma Mia! at the Broadhurst Theatre. Abba is a closed chapter, however, has Benny Andersson tried to persuade Agnetha to record an album with his own material. 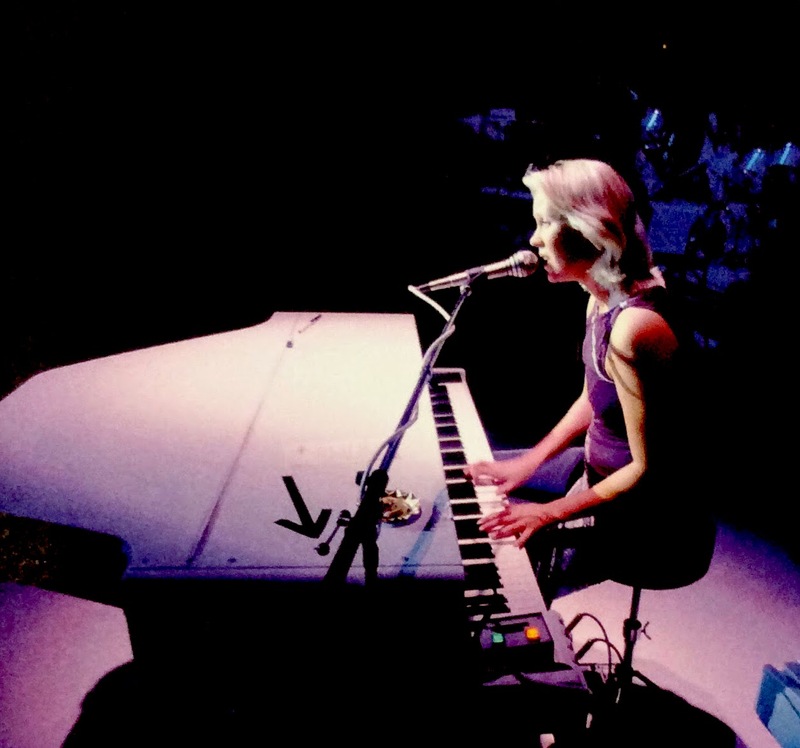 Last year, “A”, Agnetha Fältskog’s first solo album of new material in 26 years. When the 30 journalists yesterday gathered in Benny’s studio on Skeppsholmen to listen to the upcoming live album “ABBA live at Wembley Arena” Benny took the opportunity to give a quick review of Agnetha’s song. -This okay, but I like her own songs best. She is an accomplished songwriter. While she was here to listen to the live material, I told her to record her own songs, but she would not listen to me, says Benny with a wry smile. On the upcoming live album by Abba, which is published on the 29th September, you can at least listen to a “new” recording and Agnetha. On the album, there’s “I’m Still Alive”, a rarity that has remained unreleased all these years. To a playback of a 35-year-old live material it attracts journalists from England, Germany and Australia and proof that Abba is still hot news overseas. 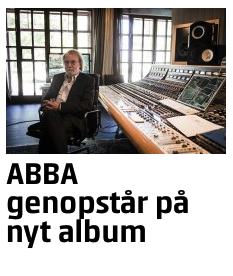 For the international press Benny beats them once again stating that a reunion of Abba will never happen. – We are all very proud of what we accomplished, and I was surprised by how good it sounded live when I listened to the old stuff, but we have no interest in being reunited and we have no unreleased songs left to give out. 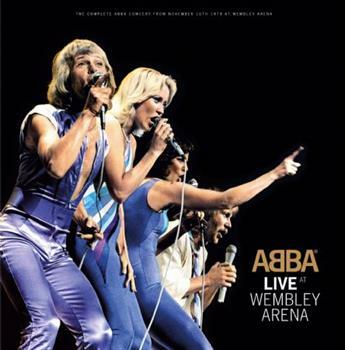 “ABBA live at Wembley Arena” documenting Abbas last concert in London, the world tour in November 1979 A gig that both Joe Strummer (The Clash) and Jimmy Page (Led Zeppelin) visited. Parts of it were filmed by SVT, but this is the first time the concert is available in its entirety. Benny’s son Ludvig Andersson has made ​​the selection, and even mixed the album. – The basic idea was to keep everything. Nothing has been changed or added afterwards, except the drum sound that was partly missing in one song. – I did this for me, because I was not born at the time, so I never got to hear this, he says. There is no more unreleased ABBA material. But a live album, it will be anyway. 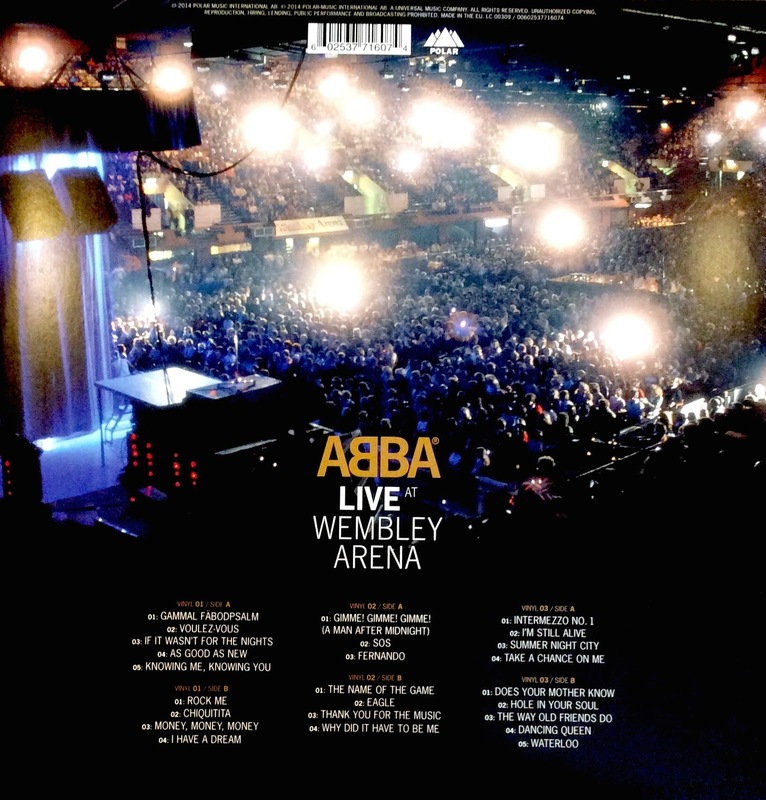 Benny Andersson’s son Ludvig Andersson has gone through several days of ABBA live material, selected the night at Wembley and processed sound quality. – Instead of taking several evenings and cut them together, it will be fine to have a whole night, so it’ll be like to be there, he said during a press conference in the studio on Skeppsholmen. They play the songs from the upcoming live album before some 20 journalists from around the world, and Ludvig tells why he took on the job with the disc. Benny himself was surprised at the finished result. – I did not think it sounded like good. When you’re on stage, everything sounds fantastic because you have the volume and the audience, and is in the midst of it, he says. 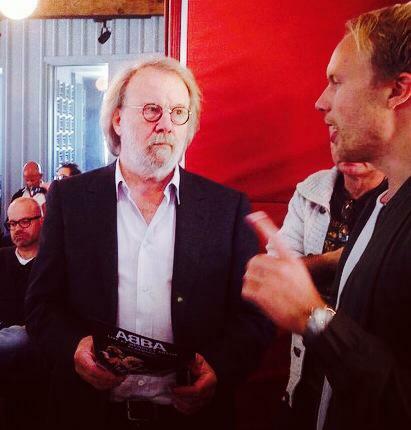 Benny asked if the remastered album has made ​​him change his view of ABBA live bands. – Maybe. We were not so bad, he says, tears down a laugh. His son, however, pointed out. – They were very bad at talking between songs, says Ludvig Andersson!. “ABBA live at Wembley Arena” will be released on September 29 this year. Rune Söderqvist 1935–2014 Polar have just reported that Rune Söderqvist passed away last week, after a brief period of illness. He was 79. 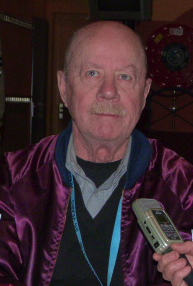 He was the inventor of the ABBA logo (timeless) and the designer of every ABBA album sleeve 1976–1986, as well as the stage set on the world tour of 1979 and Japan 1980, Rune was tremendously important for ABBA’s visual presentation. We’d like the family and friends of Rune to know our thoughts are with you .